Led Zeppelin icon Jimmy Page is sharing a behind the scenes look at the creation of his 2019 series of signature 1959 Telecaster guitars in a newly-released video from equipment maker Fender. 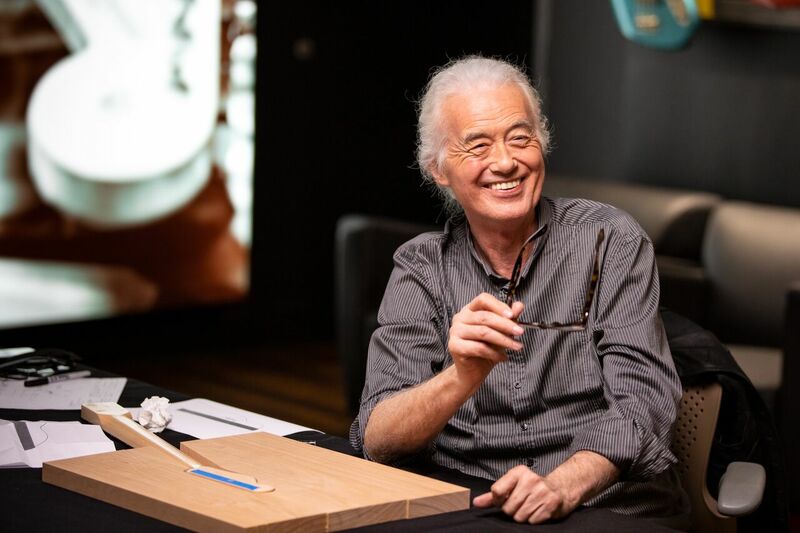 For nearly eight months, Page worked closely with Master Builder Paul Waller at the Fender Custom Shop on the Mirrored and Dragon Telecaster models in an effort to assure every detail was accurately recreated throughout the process. Page’s iconic guitar was used to record 1969’s “Led Zeppelin I” along with countless hit songs on world-renowned albums while he was a studio musician. The rocker originally received the Telecaster in 1966 from Jeff Beck, who gifted it to Page for recommending him to The Yardbirds. Only 50 units of each Fender Custom Shop model will be made available with personal touches from Page himself, including a handwritten signature on the headstock and hand-painted flourishes on the guitar body’s dragon artwork.